Lists are a brand new card type that is now available for everyone to use. Read on to find out how, why, and when to utilize these brand new card types. We've been getting a lot of questions on how/why/when to use these, and if you are using them "right". I am a firm believer that the use cases will be as unique as the sites they are running on, but here's a few examples that we've seen in action so far. Roundups – Put together round-ups quickly and easily. Feature all of your best content and get those in-links! You can also feature your favorite blogger friends as well by plugging in a URL to the field. Menu Plans – Do you put together weekly or monthly menu plans of your favorite dishes? Set them up in a list format to make it so simple for your readers to navigate. How are you using it? Post in the Facebook group and show off your Lists! At this time it is NOT recommended to use this for related content. Lists mark themselves up with schema, and having schema for an unrelated lists in a post is not ideal. We'll be making a brand new card type for recommended content in the not-too-distant future that will be specially designed with this usage, and its unique requirements. If you DO use this to recommend other posts, make sure to DISABLE the JSON-LD Schema. If you've already been utilizing the Recipe or How-To cards, this part will be easy for you. Adding a list is just like adding another card type. You can either add them in the Create > Add New menu in the Wordpress admin side menu bar, or you can add a list right from the post you are editing. Once you have a brand new list created, the first thing you will do is to give it a name. Remember, the name is going to be visible on the live site, so make it engaging and descriptive about what'll be included in the list itself. You'll also need to add a description, and choose which layout you'd like to use. We have four available currently that inherit CSS from your theme to make sure they fit in seamlessly with the rest of your content. 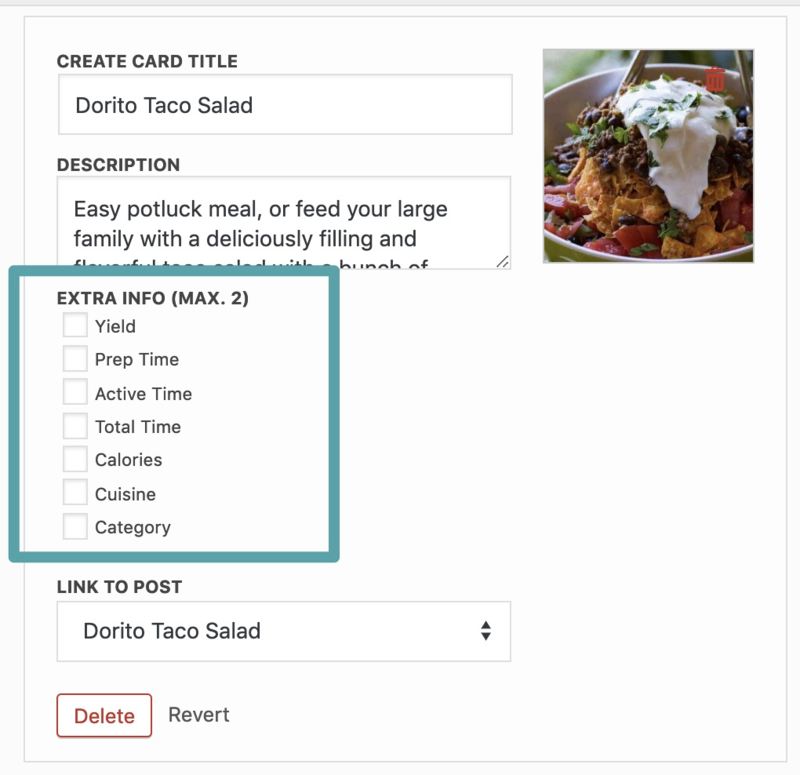 Use keywords from the post title in your search for internal posts or Create Cards. If you'd like to search within the content of the posts themselves, check that box. If you add Create Cards as List Items, you'll have the option to include some card-specific items that are pretty neat! Tip: The ORDER that you click the items is the same order that they'll appear in the List Item display! You can also link to outside sources if you'd like! Show your blogging friends some link love by adding them into a list or two. To link externally, you'll need to register your Create plugin. 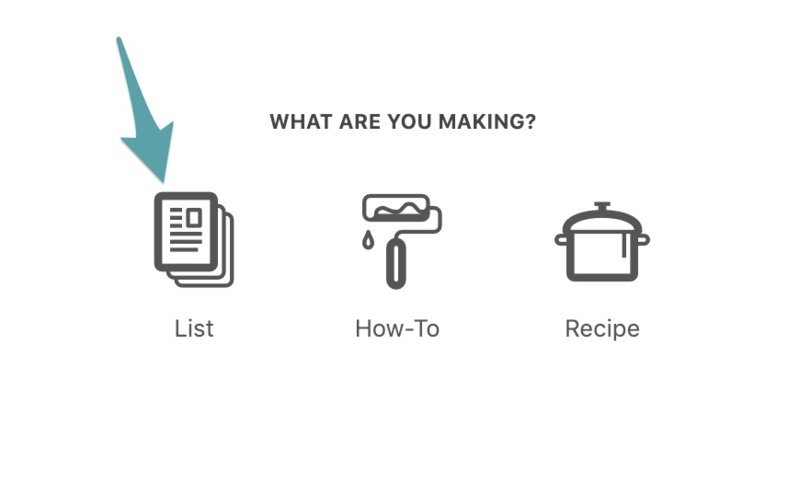 Currently, if you add a Create Recipe card as the list item, the button will say, "Get the Recipe". 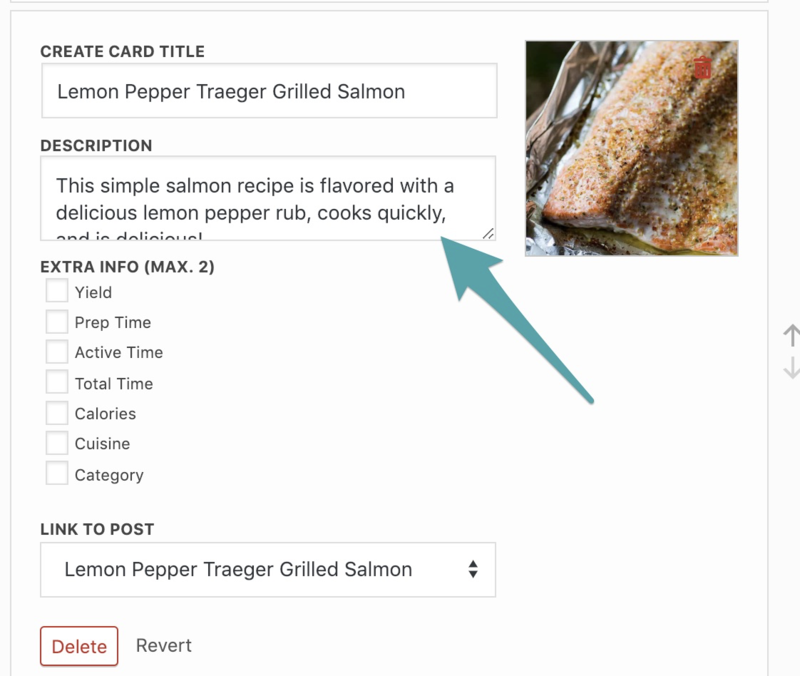 If you add anything other than a Create Recipe Card as the list item, the button will say, "Continue Reading". We're planning on offering some more options for this in a future release, so stay tuned! It is very important to add unique descriptions to each items in each list you make. Even if a description pulls in automatically, as happens in some cases, it is best practice to make it unique to this list for this use for best SEO. Real life example: I have a recipe post about Grilled Ribs. I include a short Create List linking to 4 of my favorite BBQ Sides. You would not want a list carousel showing up under the Grilled Ribs Recipe heading, but include list items that aren't Grilled Ribs. If you had a list with 4 OTHER grilled ribs recipes? Leave the schema on. If you have any additional questions, please reach out at create@mediavine.com.